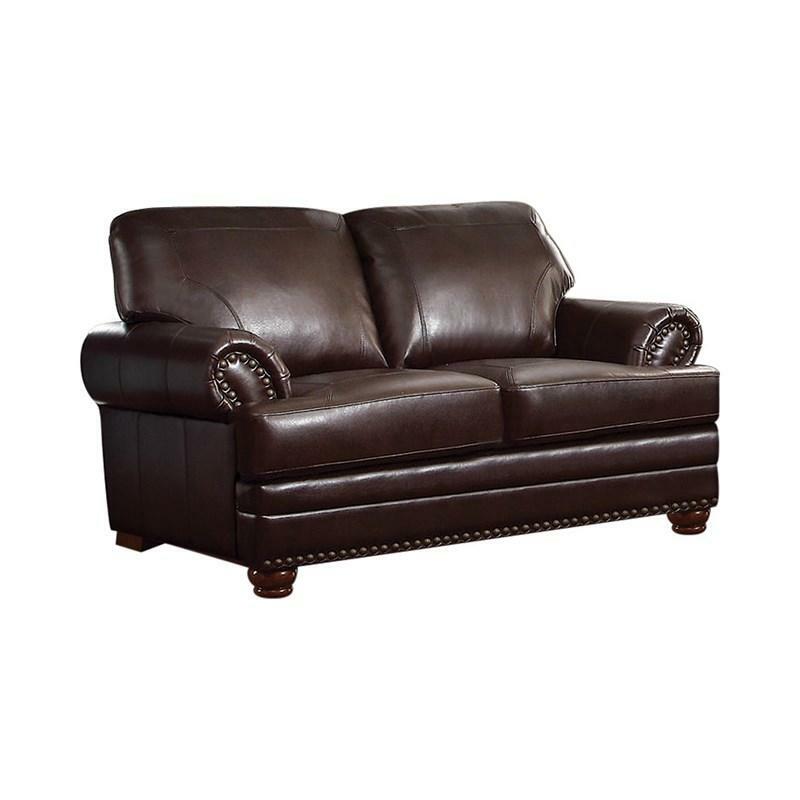 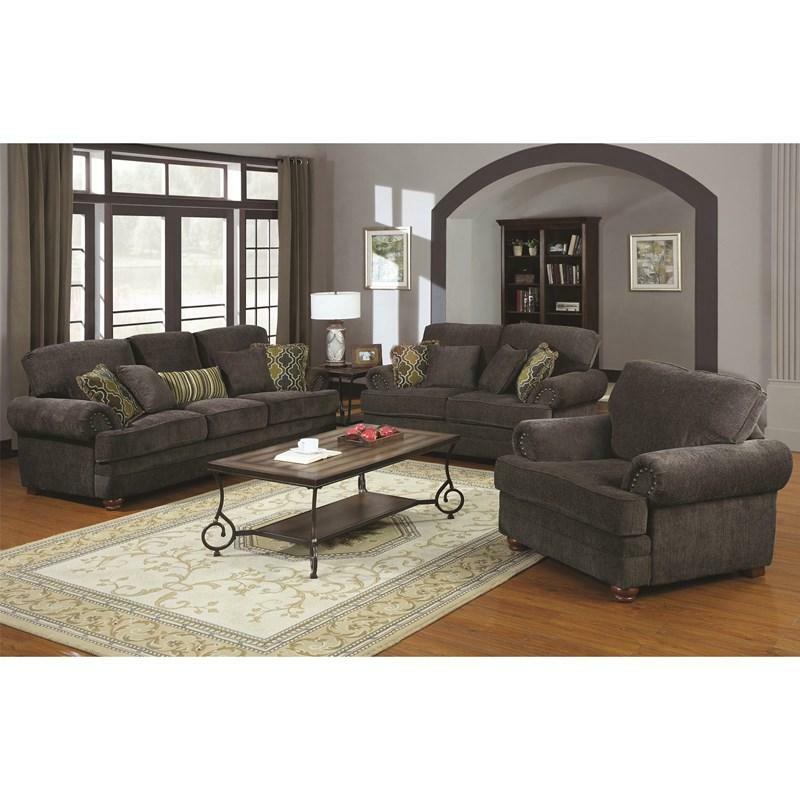 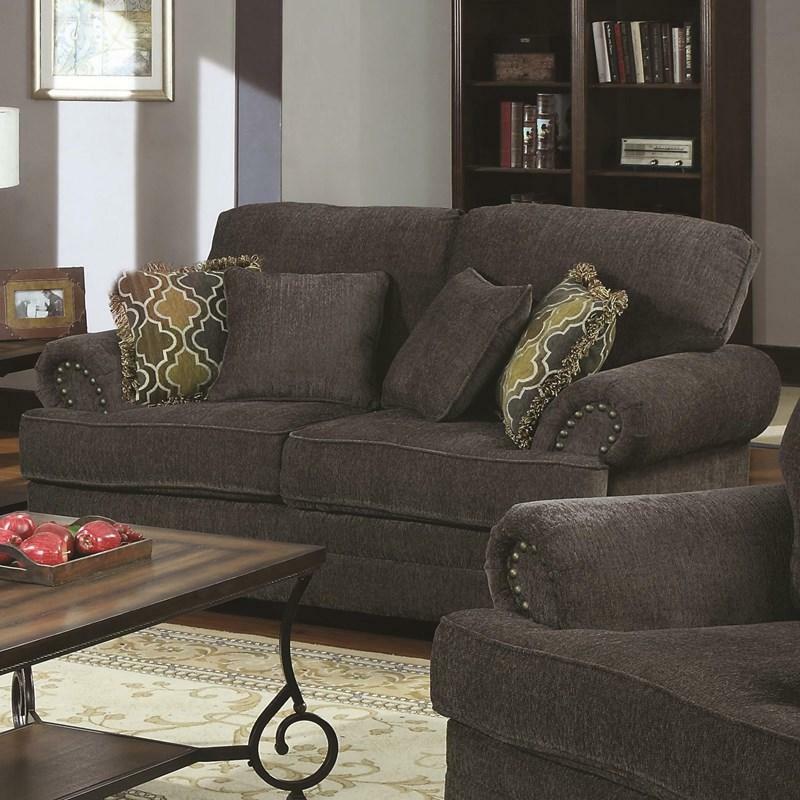 Add a touch of sophistication with his traditional Colten loveseat from Coaster Furniture which is wrapped in smoky grey chenille fabric upholstery and features solid wood legs in a brown finish, plush rolled arms and pocket coil seating. 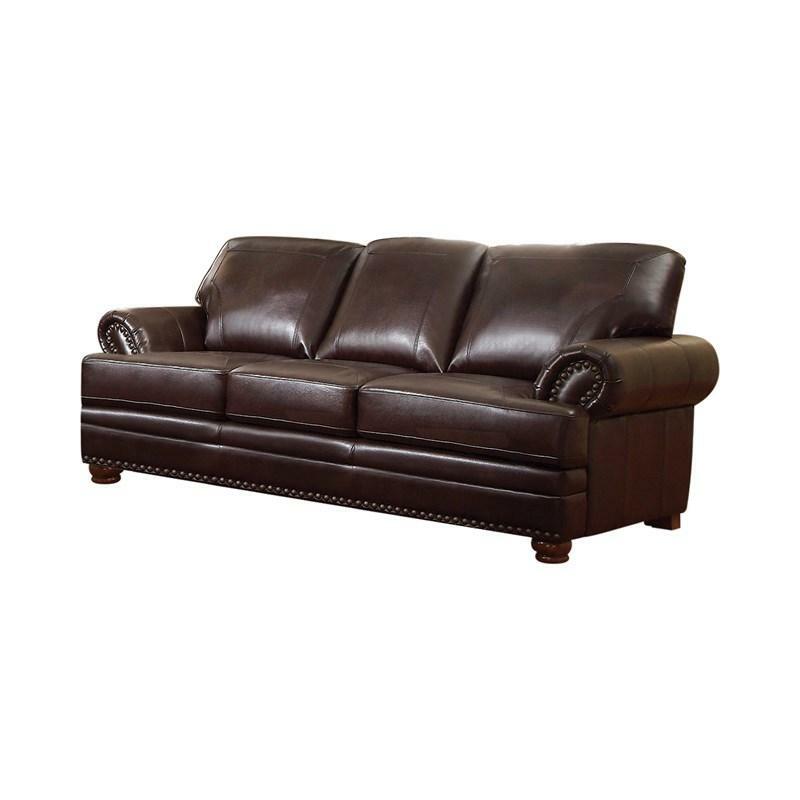 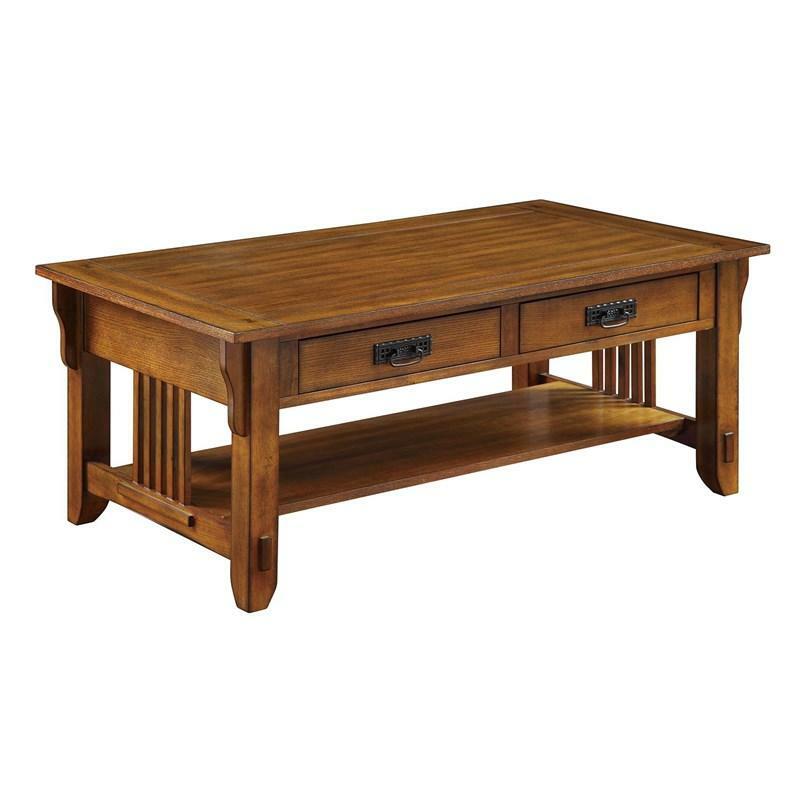 Not only is it comfortable because of deep seating and a sinuous spring base, but it is also durable with a kiln-dried hardwood frame. 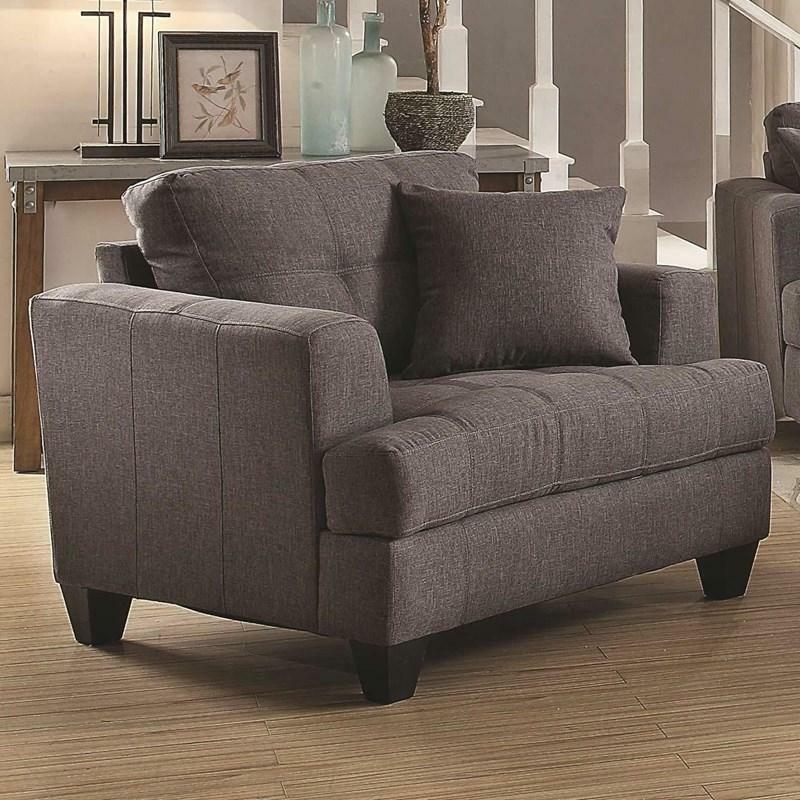 Accent pillows are included. 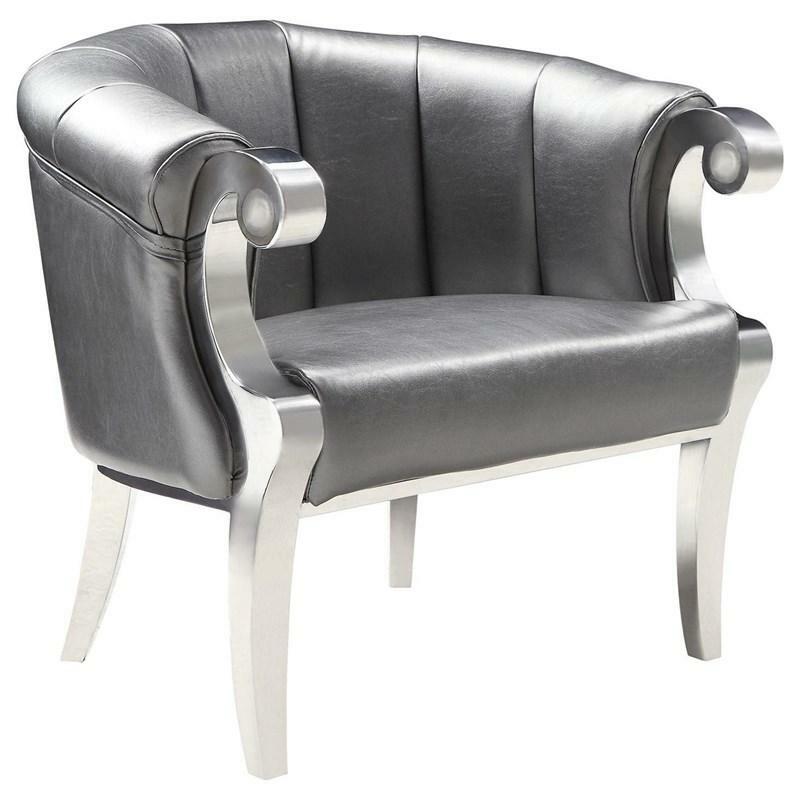 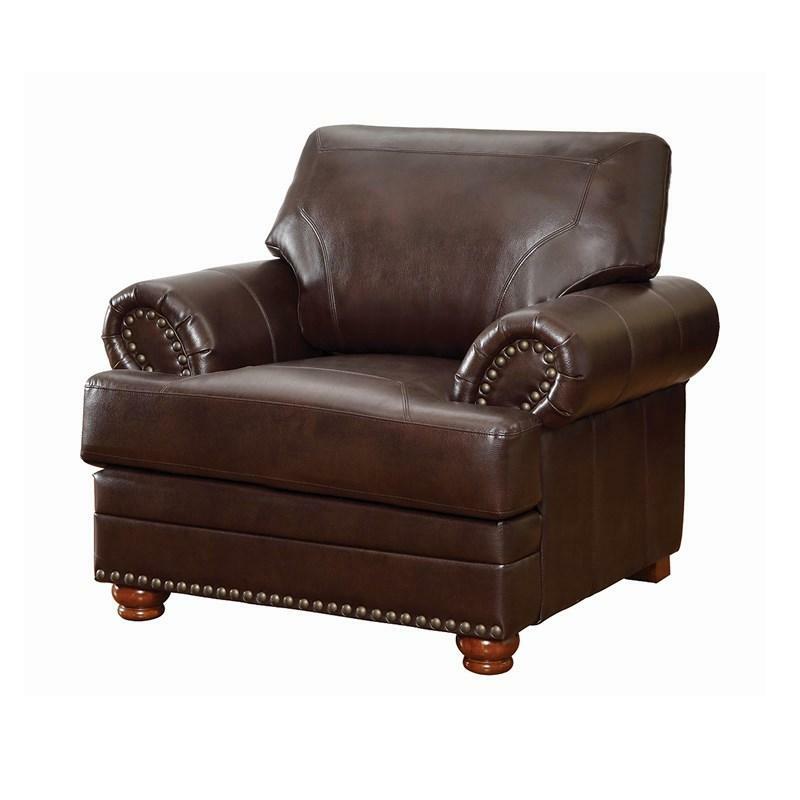 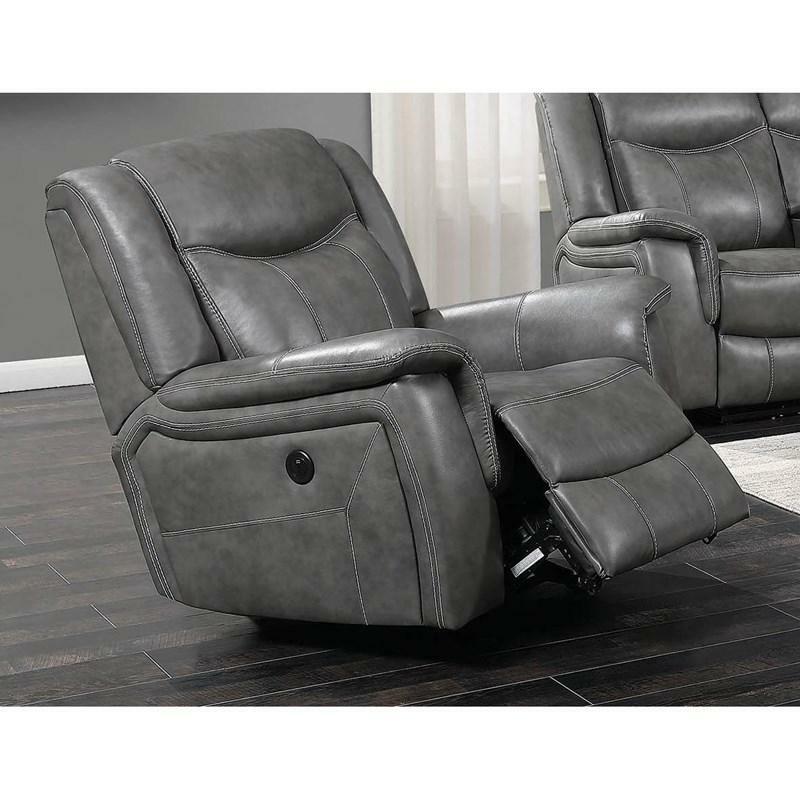 The Conrad Glider Recliner comes upholstered in gray padded breathable leatherette fabric. 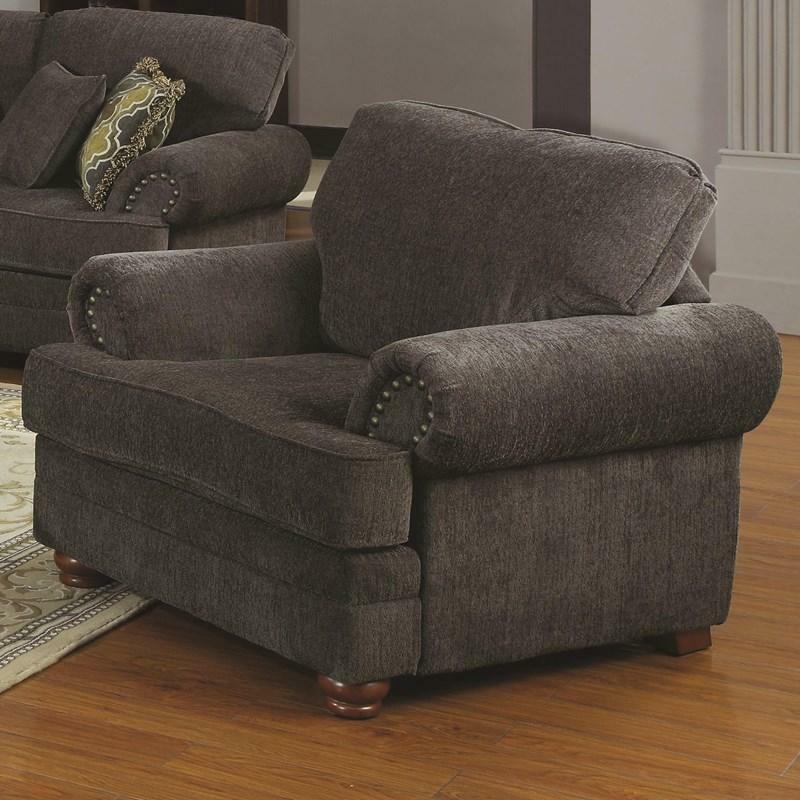 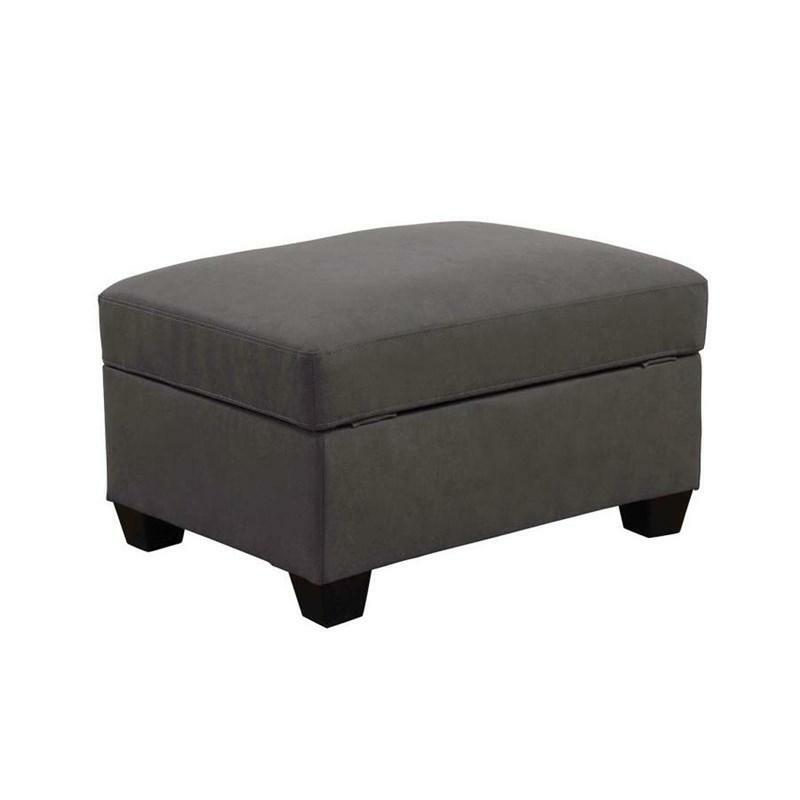 It features a pub-style back, pad-over-chaise with padded footrest, and pillow arms. 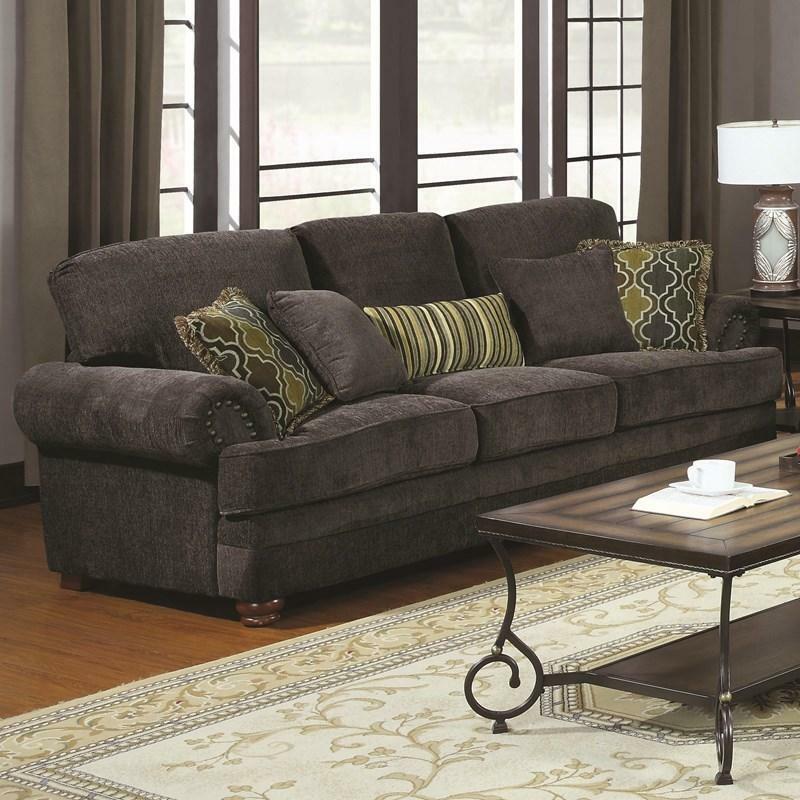 It is adorned with contrast double-stitching accents.